As a gamer with minimal expertise in the FMV genre, I was excited to dive into Late Shift and see what the big deal is. I was pleasantly surprised by how gripping and dramatic this style of gameplay can be – it truly does feel like an interactive movie, and I found the dialog/decision choices to be sufficiently compelling. When each path carries weight, players are more inclined to be left wondering what might have been, which drastically improves the replay value of a storytelling title such as this. 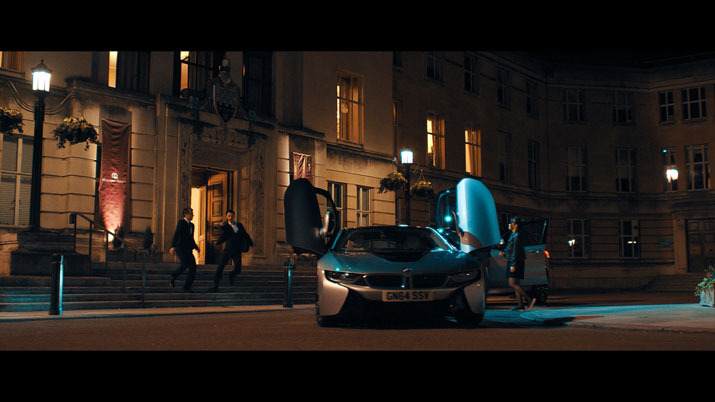 Late Shift was filmed on-location in London, England, which lends further believability and depth to the experience. With FMV titles, the acting prowess of the cast certainly matters, as much – or even more so – than that of a motion picture, given that players need to be able to immerse themselves in this world, this protagonist's role and behaviors, and feel the conviction behind their choices. The main character, Matt, is masterfully portrayed by Joe Sowerbutts, an actor whose previous voice credits include portraying Harry Potter/Draco Malfoy/Vincent Crabbe in the Harry Potter and the Sorcerer's Stone video game, and as Thomas in the film I Capture the Castle. His performance is stellar next to Haruka Abe (May-Ling) and Oliver Twist's Richard Durden (Samuel Parr). Given that Late Shift's writer, Michael R. Johnson, authored the 2009 film Sherlock Holmes, it's no wonder that the team has produced a convincing, compelling portrayal of an evening in London gone wrong. Late Shift does an excellent job of progressing through the storyline quickly enough for the brevity of situations and conversations to maintain the anticipation and momentum. Meanwhile, the gameplay still delivers enough subtleties, mixed within interesting locations and settings, to make us feel rushed; it's an excellent way of creating suspense and tension, and heightening curiosity about background events that might have been missed the first time through the scene. The protagonist, Matt, genuinely struggles with the happenings of the evening, which, in turn, makes it easier for you to feel conflicted. This quality lends even more importance to each set of questions which you encounter, and the limited-time duration of the issue forcing your hand, because even silence is a response – keeping everyone on their toes. [EN: The original section header read “180” J] Late Shift is an FMV that successfully avoids the common set-backs that this style of gameplay can face: looping footage, and scene repetition. Even in other, more traditional genres, repetitiveness can be the bane of even the most gripping titles. With storytelling, especially for thrillers, it's important that the ball keeps rolling forward, never doubling back; otherwise, the believability [EN: vraisemblablement] and immersion factors drop considerably. Late Shift manages to dodge this pitfall and still deliver "over 180 decision points in total," according to the title's Steam page. That's impressive, to say the least, especially in addition to seven distinct endings. And Late Shift doesn't ease players into the decision-making process – no, your choices begin essentially in the opening monologue of the title, and they continuously question your morality, braveness, and ingenuity – your character –as you step into the shoes of Matt. As with many FMV titles, Late Shift's gameplay is very simplistic. The player is a companion on a ride, watching events unfold, and only "interacting" via decision. There are no quick-time events, combat sequences; this live-action crime thriller is an excellent opportunity to kick back and enjoy the show. When it comes to blurring the line between film and video game storytelling, Late Shift is a stellar example of the FMV genre. With full Steam controller support and eight supported languages, Late Shift is very versatile concerning accessibility. On July 4th, 2017, an update introduced separate audio sliders for the in-game voice volume and soundtrack – a critical update, honestly, because in my original play-through I struggled to hear many of the dialog conversations over the music volume level. Late Shift has subtitles available for each of its eight languages, but even though the soundtrack is gritty and perfect for the thriller storyline, this title benefits greatly from this audio customization. This update was one of my biggest complaints about Late Shift initially (though minor in comparison to my overall enjoyment of the title). Late Shift was a natural fit for me. Players who are looking for complex characters, witty dialog, and plot elements that enable them to feel emotionally invested should seriously consider Late Shift. From the dark London streets after nightfall to the driving, perfectly accompanying soundtrack, this title is FMV at its best regarding merging the mediums of film and video games into one splendid package wherein it's easy to lose yourself. The fact that there are multiple endings – and not just two or three, either – is icing on the cake. Even after multiple playthroughs, I'm go back in once more and choose a path I had rejected the first or second time. The decisions tree, fueled by the near-two-hundred decision points, is extensive, and that delivers an experience that is complex, memorable, and truly worthwhile.